Greetings cards show you care. Whatever the occasion - from Mothers Day to Birthdays, Moving House to Welcoming a new baby - sending a card shows you've taken the time, made an effort and thought about that person. Printing your own cards takes the thought that much further and helps create a good feeling that lasts a long time. What is 10 + six? Having a stock of branded greetings cards allows you to make a gesture that will be appreciated and remembered long after the event itself. 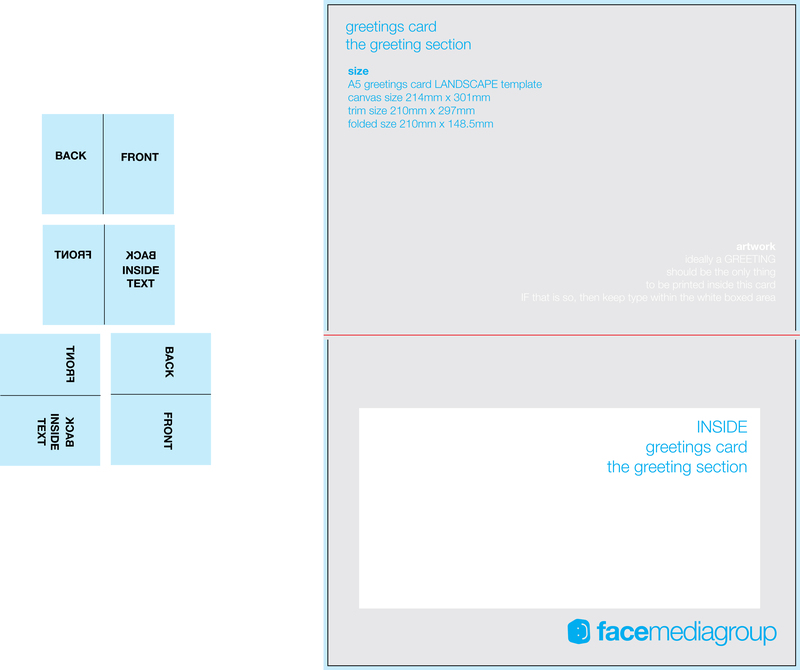 We have a range of pre-printed cards, or you can create you very own greetings cards. Combine your branding with your own images and words to produce cards that are unique to your business or organisation. If you are sending out large numbers of cards we can personalise each one as part of the printing process, saving you time and money (get in touch to find out more about this service) and we can even print the names and addresses on the cards if you want. 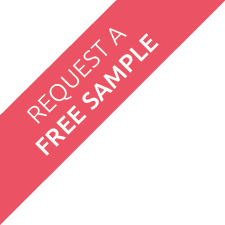 Simply provide us with a .csv file with the details and we'll add them to the back of the cards. All you have to do is drop the cards in to windowed envelopes. 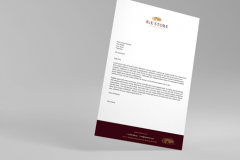 The cards will be printed on 425 micron Box Board or 400gsm Gloss Lamination Board, and prices INCLUDE envelopes. All our greetings cards papers are Elemental Chlorine Free, produced at an EMAS registered mill, FSC certified and 100% recyclable. 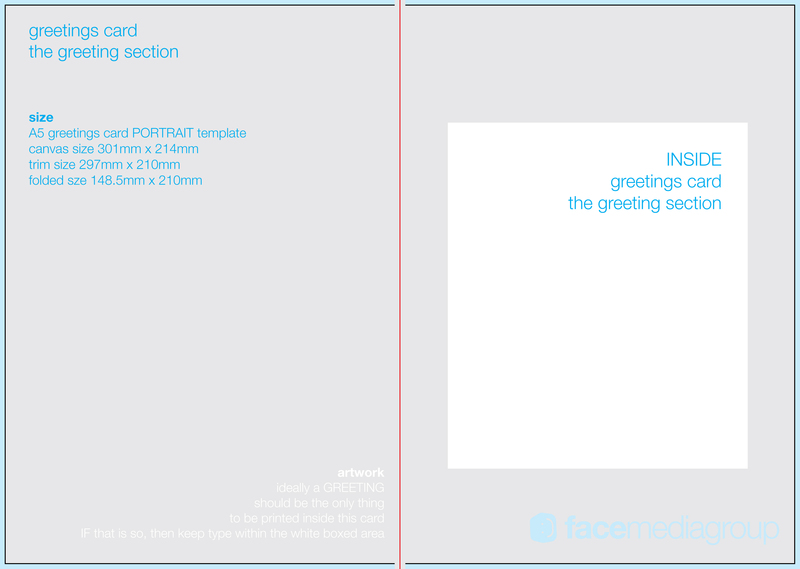 If you are happy to design your own greetings cards, we have created a Greetings Cards design template which you are free to download and use. Please also refer to our design formats page to make sure your artwork formats can be accepted for printing. 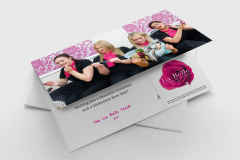 Our graphics and design team have the creative flair and commercial experience to produce really special greetings cards that will really impress your clients and customers. If you would like to engage their help, please fill out the quote request form or call us at the office. Over the years, we have found that our greetings cards are also perfect for use as gift cards. 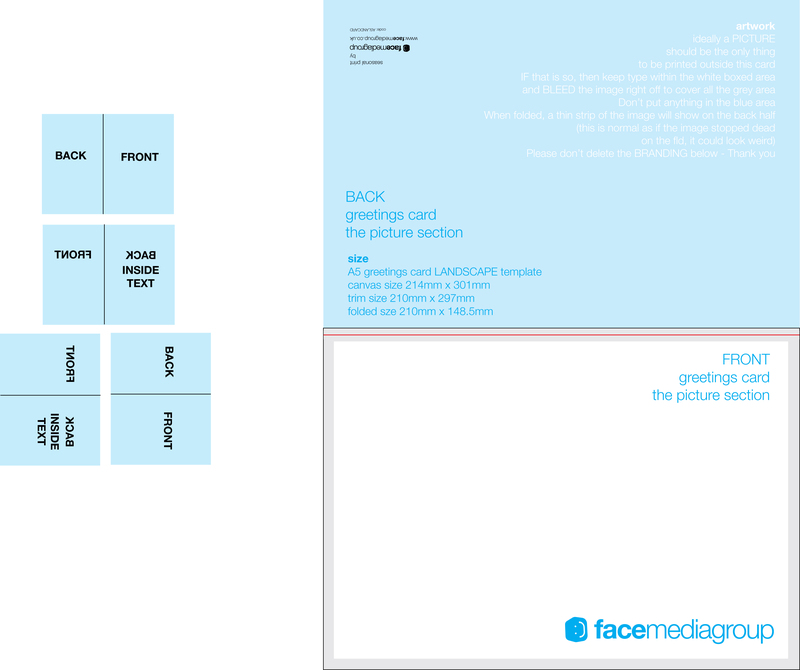 Both the inside and outside of the cards are customisable with whatever text you need. Ideal for gift vouchers. Give your customer a choice of voucher cards to accompany a gift voucher or gift card. Ask us about options to hold vouchers in place. Glue dots, sticky corners and adhesive wallets are a cheap alternative to die cut slits, depending on quantity.